Do you need to have a window replaced in a tall building? You probably don’t know where to start and how to proceed with such a task, and that’s completely understandable. Before you postpone the replacement, you should know how much faulty windows cost you. A small crack in one of your windows will significantly decrease the curb-appeal of your building and make it look worn out and old. Not to mention, the windows’ insulation deteriorates. If the windows are old, it’s most likely you’re paying a lot of extra money each month on electricity bills just to keep the building warm. All of the heat escapes from non-insulated windows, and it costs you a lot more longterm. That’s where R.A.I.L. shines. 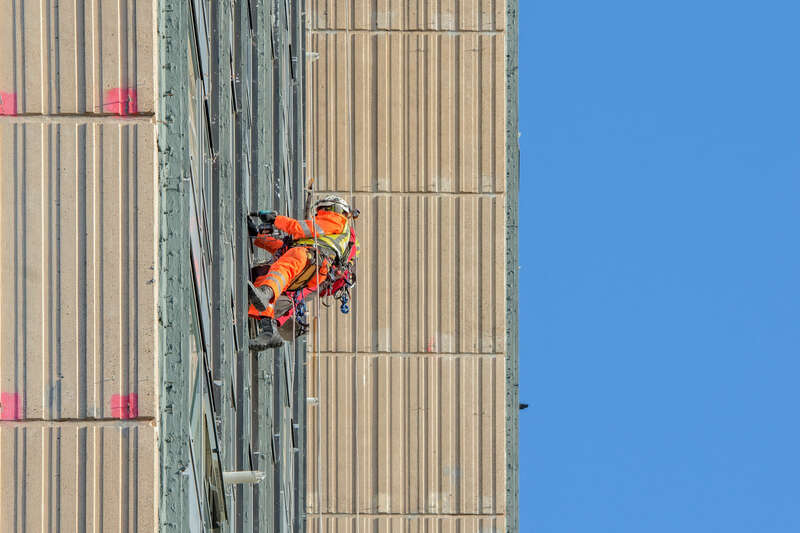 Our abseiling team is full of professionals that specialize in high-rise window replacement, and they are ready to help you. No matter where you are in London or how tall is the building, we’ll be on the scene quickly, and we’ll be done much faster than our competition. It’s because we use abseiling instead of scaffolding (which needs a permit). We’ll finish faster than you can get a permit!